Featuring an intricate monochrome and lurex pattern and gorgeous tailoring, these Marina Rinaldi trousers are a must-have. The straight cut is so flattering and they’re so easy to mix and match with all your favourite tops and tunics to create different looks. 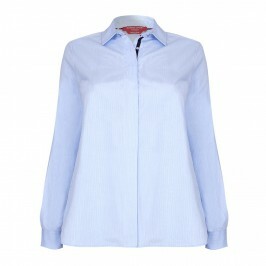 Team with a crisp blouse for the office and a silk shell top for the evening. Straight leg navy and lurex patterned trousers with elasitcated waistband. 52% Viscose, 46% Polyester, 2% Elastane. Delicate Machine Wash or Dry Clean.